Does The JBL EON206P Portable PA System Lack Too Many Features? 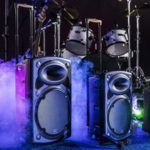 The JBL EON206P Portable PA System gives the impression of a more portable model for regular use on the gig circuit than something powerful for larger applications. This is a compact system, but there is still a decent mixer with 6 channels and a range of options. Does this system do enough for regular users, or should they upgrade to something higher up the range? The Pros and Cons of this JBL EON206P Portable PA System. There is no doubt that this JBL EON206P Portable PA Sound System gets a lot of the basic elements right. As this is sold as a portable, all-in-one system, there is a definite focus on features for transportation. This system has a compact size where everything packs neatly away. This includes the cable storage space. 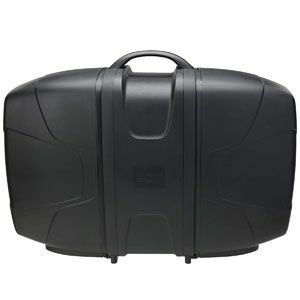 There is also soft-touch grip handle on the top and a 25lb weight, so most users should be able to handle it with ease. This is a smaller model than its more powerful cousins so should be easier to carry. 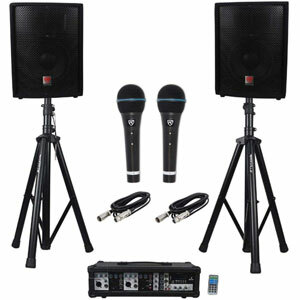 As for the amplification and sound quality. There are some great opportunities here for musicians that want to use a few instruments and mixing effects. There are 6.5’’ woofers and an 113db output. It may not be as powerful or technical as some of the other EON models, but it does pretty well for small spaces. There is enough here for small gigs and talks from speakers in smaller venues. There are still some aspects of this JBL Portable PA System where the designers could make improvements. The problem is that both of these important aspects of this speaker system come with some flaws. When it comes to the portability, some find that the locks on the case aren’t strong enough. A solution here is to use bungee cords around the speakers. As for the output, some would like to have seen some more bass and treble controls across the channels. It is also worth noting that there is no clear manual with this product. Those that find instructions online say that they aren’t always accurate either. Is this JBL EON206P still recommendable with all this in mind? There are some clear ways that the company could make some improvements to add to the ease of use. A new lock, better manual and improved mixer would make this a little more reliable for some travelling musicians. Still, this is a mid-range model, and there are bigger, beefier options with more features. This is an important point because it puts the pros and cons in a little more context. 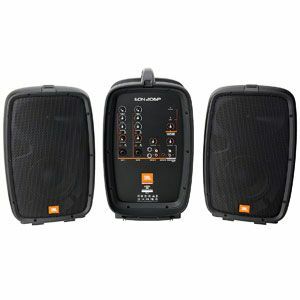 For the position in the range, and intended purpose, this JBL PA System is still a great portable option for many users. 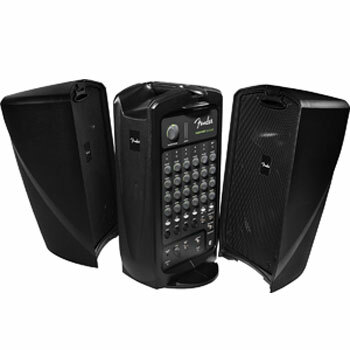 Find more reviews about the JBL EON206P Portable PA System on Amazon here.